We have been promoting it for weeks and it is finally here… Guys Night! A bro session of barbells, booze, and bad decisions. 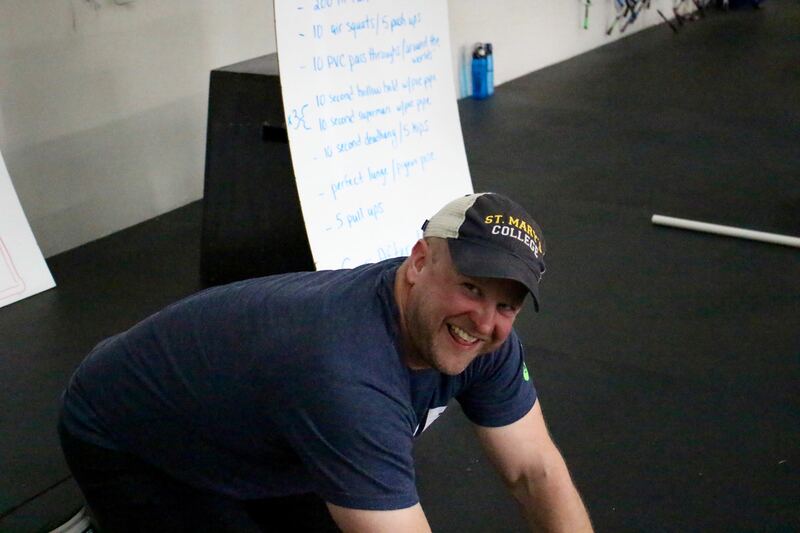 Although this is a guys only event (no regular 6:30 PM class this Friday) the rumor is that later in the evening we may head to a drinking establishment to rehydrate from the WOD. Stay tuned on Facebook for real-time updates. Partner One does one round. Then partner two does the next round (while Partner One rests). Rinse and repeat. Each partner does a total of 5 rounds. If you plan on coming, bring something to drink (and ideally a snack to share). Sign ups are on the WhiteBoard at the Wodify station. 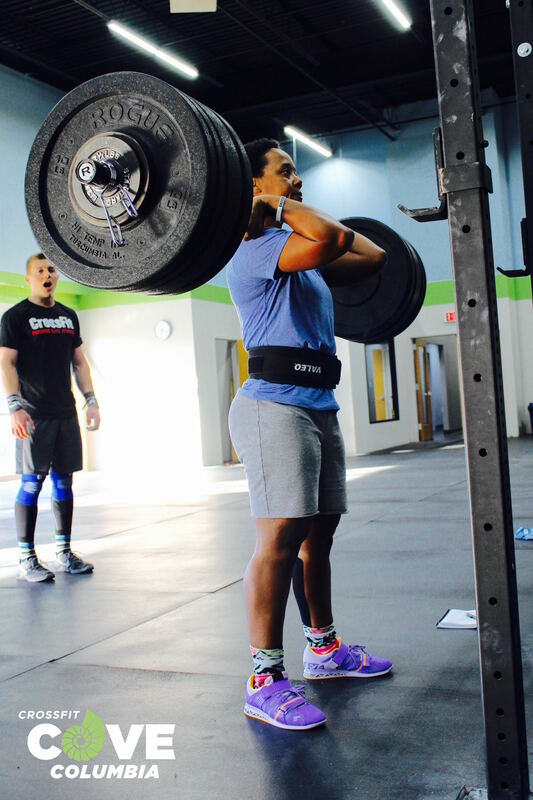 Julie J. gearing up for a 200lb+ front squat. Insane!